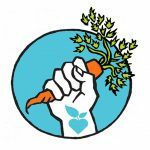 VEGAN HILLS is looking for activists! We need people full of hope, with courage to step off the system and stand up for better future. People who see the potential of this project. Who dreamed about being part of change. There is no more time to keep spending life in economic slavery. The devastation that people are leaving behind is shocking. Its a biggest shame, biggest failure that we as human mankind could do. It is so wrong on so many levels that there is no day that I am not thinking about it. There is no way of opening eyes every day and not seeing its consequences. The condition of Earth is a disaster. Nature is disappearing in front of us. Animals are struggling. Humans are struggling. And we all are guilty. I know it is hard to be enthusiastic in these days, but people, please wake up. There is a hope, there are solutions, there is a way for better future. Together we can make a change, we can push the law, we can have massive positive impact. If we succeed, the next vegan community will succeed, and then next one and next one and so on. The fear has to go away. Fear is just in our heads, we need to get rid of it. There is no more time to waste. We are not looking for an easy life, we want to change the world, we want to establish first vegan village. This project is not about escapism, its about fighting for better tomorrow for all living beings and future generations. There is a deep meaning behind it that some don’t understand. Living in harmony with nature and fighting against exploitation of animals needs to be promoted, needs to be encouraged, educated, shared and needs people doing it and it has to be done now. We have one of a time chance to spend life on this planet. One chance. It so easy to forget about it.